This Cherry Almond Oat Bran Amish Friendship Bread Muffins recipe uses applesauce as a substitute to create a flavorful, healthy muffin you’ll love! There are so many easy ways to vary this wonderful recipe. Try substituting mashed bananas in lieu of applesauce (you’ll need about 4 large bananas). You can also use egg substitute, add nuts, or try different fruit like blueberries or raspberries. 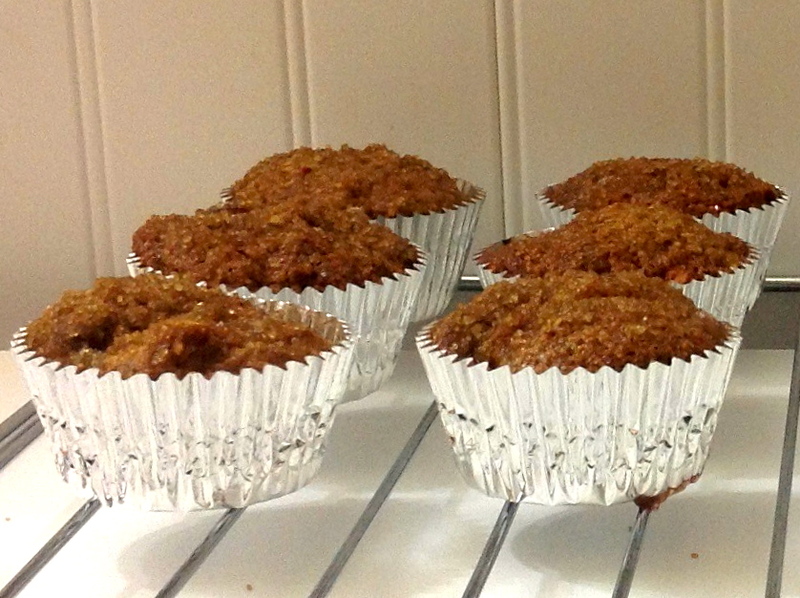 Kitchen Friend Diane Siniscalchi found the perfect balance of healthy and sweet: I was very pleasantly surprised that, although there was quite a bit of turbinado sugar on top of the muffin and brown sugar inside, it was not too sweet. 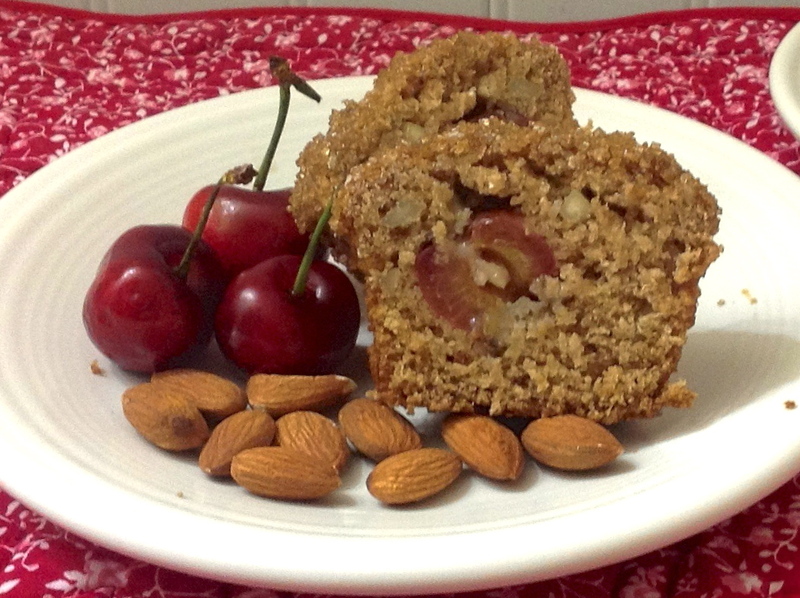 With the applesauce, almonds, cherries, and oat bran, this recipe is quite healthy AND tasty. The texture is not too heavy and they’re moist, but not too moist. This is definitely a repeat recipe! 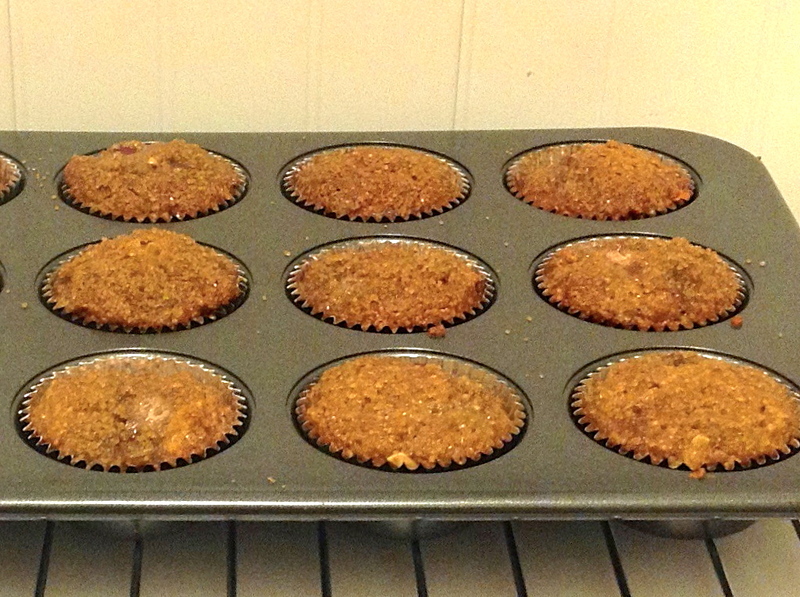 Fill the muffin tins 3/4 full. 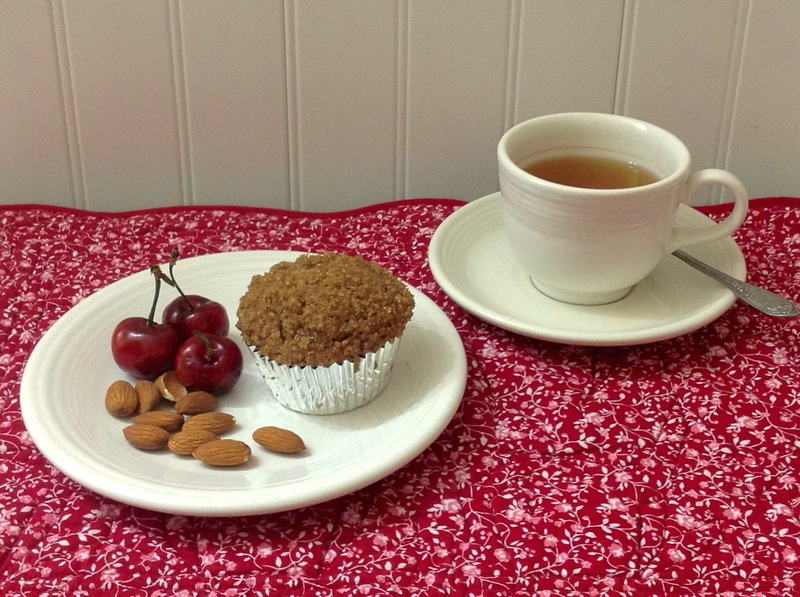 I’d recommend splitting the cherries in half and adding one more cherry to each muffin. This Cherry Almond Oat Bran Amish Friendship Bread Muffins recipe uses applesauce as a substitute to create a flavorful, healthy muffin you'll love! In a large bowl, mix the oat bran, flour, brown sugar, baking soda, baking powder, cinnamon, and salt. In a medium-sized bowl, blend starter, applesauce, egg, oil, and vanilla extract. Fold wet ingredients into the flour mixture. Fold in the cherries and almonds. Grease muffin pans. Spoon batter into prepared muffin cups. Sprinkle tops of batter with turbinado sugar. Bake for 15 minutes or until the bread loosens evenly from the sides and a toothpick inserted in the center of the muffin comes out clean.